Palmer has been manufacturing thermowells for over 70 years, and has gained an expertise that is unsurpassed in the industry. Palmer offers thermowells in a large variety of connections, bore sizes, stem lengths and materials, including specialty materials, for all applications. Palmer WahlsNew DHS125XEL Hybrid is an intelligent contact and non-contact infrared thermometer which goes beyond the conventional temperature measurement capabilities of other infrared thermometers. 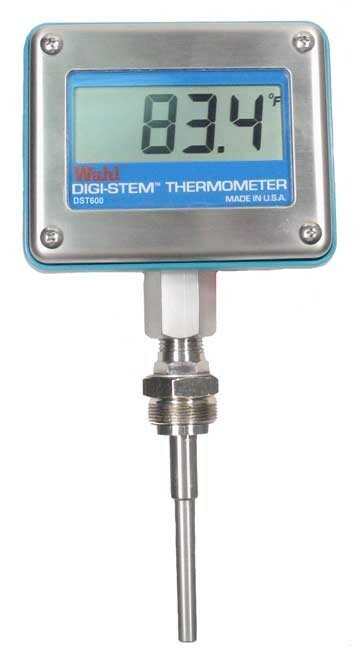 In addition, Palmer Wahl also offers other Infrared thermomers with Temperature Range up to 5432°F. For pricing and availability on Palmer Wahl's full product line, or for recalibration, please call 973-433-4700 or click here for a quote.